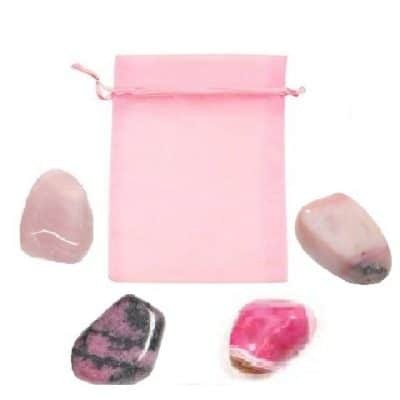 The Crystal Travel Pouch was designed specifically to take on trips and life journeys. 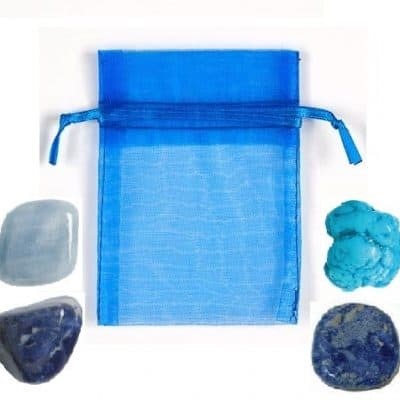 It is a handy pouch, with 7 exceptional crystals used particularly for many symptoms that come up when traveling such as fear, fatigue, jet lag, difficulty sleeping and travel sickness. 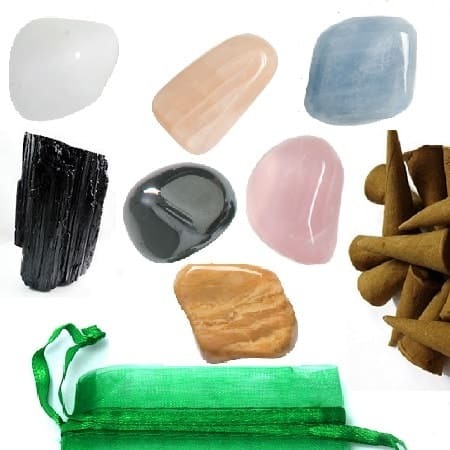 This kit includes 7 crystals associated with travel, including, snow white quartz, blue calcite, tourmaline, moonstone, hematite, yellow jasper and rose quartz. 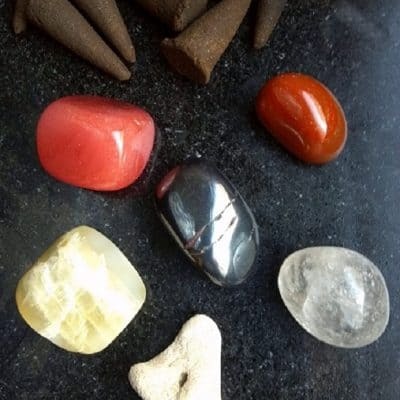 It also comes with complete instructions for calming nerves fear and anxiety, treating insomnia, helping with jet lag, protection when traveling, clearing the energy in your hotel room, apartment or vacation space and energizing you, when travel fatigue sets in! 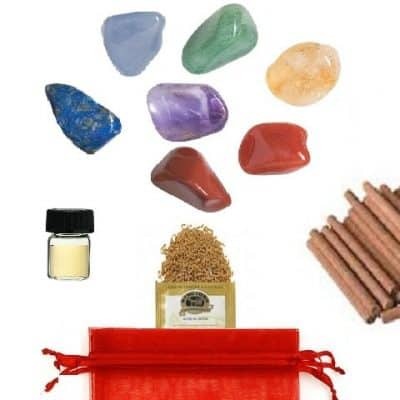 We include our special incense for blessing and cleansing your stones and your space!